Hello everyone! This is my last post of the year and today I'm sharing this week in my planner. 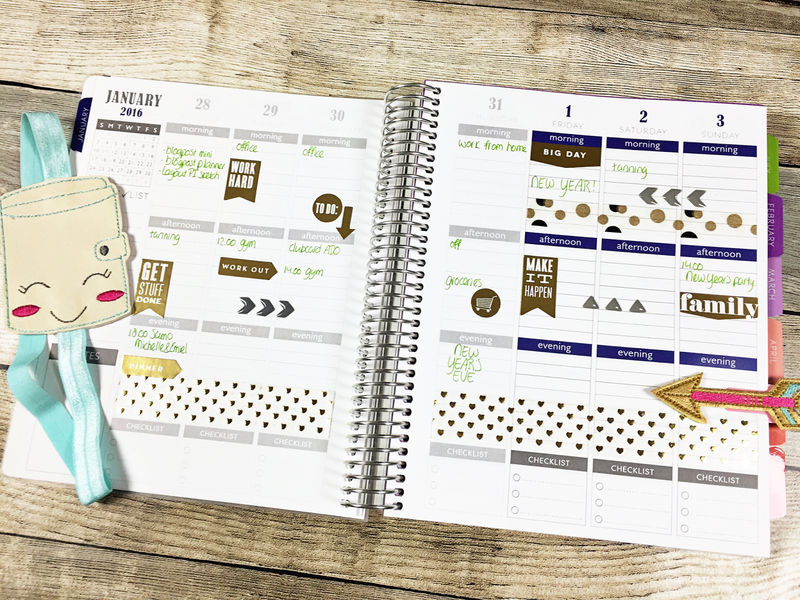 I always love to start a new year and this year I'm going to use a Plum planner from Plum Paper Designs and the Carpe Diem planner from Simple Stories. So far I've only done a spread in my Plum planner, so that's what I'm showing today. I wanted a clean design and lots of gold on it, because it's still the holiday season. I used the gold planner stickers from MAMBI and added big washi tape with golden hearts from Little B. The enamel arrows are from Doodlebug Designs. The arrow and my planner band are from Parker on the Porch.